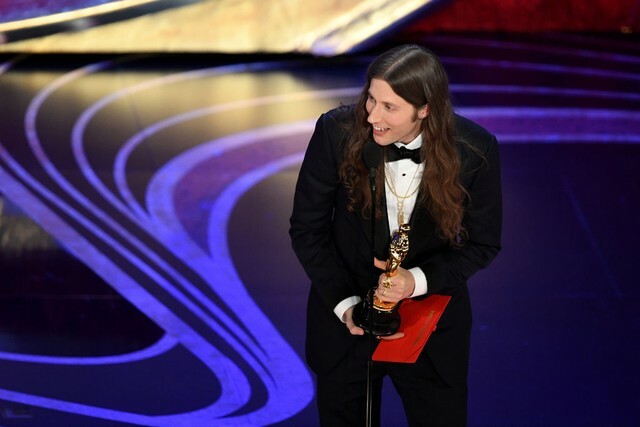 Ludwig Göransson won the Best Score category at the 2019 Oscars for his work on Black Panther. The other nominees in the category were Alexandre Desplat for Isle of Dogs, Terence Blanchard for BlacKkKlansman, Nicholas Britell for If Beale Street Could Talk, and Marc Shaiman and Scott Wittman for Mary Poppins Returns. This is a first-time nomination for Göransson. Black Panther won awards for best costume design and best production design earlier in the night. Black Panther’s hip-hop-based soundtrack album made waves at the Grammy Awards earlier this month, thanks to the involvement of curator Kendrick Lamar (who elected to not perform his Oscar-nominated SZA collaboration from the film, “All the Stars,” at the Oscars this year). Ludwig Göransson won the Best Score Soundtrack for Visual Media award at the Grammys. Outside of his work on Coogler’s film, Göransson is a rising star in pop production at the moment, having recently been honored for his work on Childish Gambino’s “This is America,” which won Record of the Year at the Grammys. Alexandre Desplat was the most experienced nominee in the category, having won twice in the past five years for his work on last year’s The Shape of Water and 2014’s The Grand Budapest Hotel. Nicolas Britell was nominated in 2016 for his work on Barry Jenkins’ previous film (and past Best Picture winner) Moonlight. (He also wrote the score for this year’s Vice.) Veteran trumpeter and composer Terence Blanchard was a potential favorite for his jazz-infused score for Spike Lee’s BlacKkKlansman.